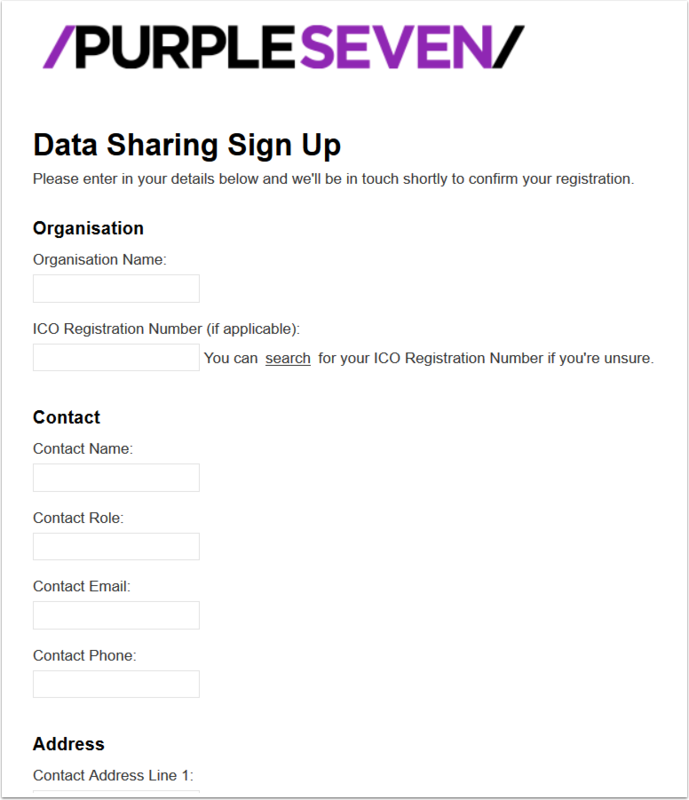 How to sign up to Purple Seven's tool: Data-Sharing. When a venue sets up Data-Sharing the venue will get access to an online portal. This portal ensures the venue can set up sharing with specific users at touring companies for all events. From a touring company perspective, you don't need to do anything until your event has matured (is in the past). So, you're ready to start receiving customer data from the venues you visit. Great news! Here we guide you through how to use your Data-Sharing account to download the customer data for your records.